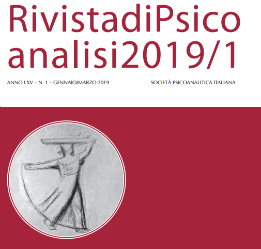 giovedì 17 gennaio 2013 7:30 p.m. – 9:30 p.m.
Marco Conci, MD (Trento, Italy and Munich, Germany) is the coeditor-in-chief of the International Forum of Psychoanalysis and is a member of the German and the Italian Societies and of the IPA. 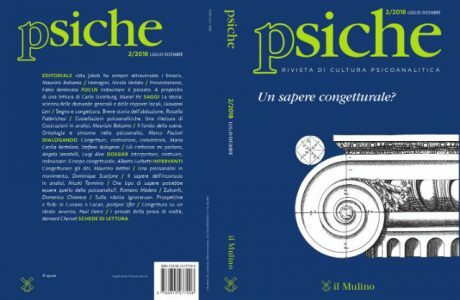 After meeting S.A. Mitchell in Florence in 1988, he organized his two further Italian trips (1991 and 1996) and contributed much to the publication of all his books and the promotion of relational psychoanalysis in Italy. 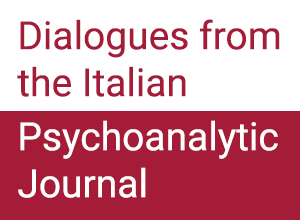 He is also a member of the Editorial Board of Contemporary Psychoanalysis and Psychoanalysis and History (London). Darlene Bregman Ehrenberg, PhD, ABPP, is author of “THE INTIMATE EDGE: Extending The Reach Of Psychoanalytic Interaction” (W. W. Norton and Company, Inc., 1992). She is in private practice in New York City, and is a Training and Supervising Analyst, and on the teaching Faculty, at the William Alanson White Institute, Supervising analyst and Adjunct Clinical Associate Professor at The New York University Postdoctoral Program in Psychoanalysis, Faculty, Mitchell Center for Psychoanalysis, as well as other institutes; and is on the Editorial Board of Contemporary Psychoanalysis, Associate Editor, Psychoanalytic Dialogues, consulting editor, Psychoanalytic Inquiry. She is currently working on two new books, one on intergenerational transmission of trauma, and the other focusing on issues of desire and therapeutic action. Adrienne Harris, PhD is Faculty and Supervisor at New York University Postdoctoral Program in Psychotherapy and Psychoanalysis. She is on the faculty and is a supervisor at the Psychoanalytic Institute of Northern California. She is a member and Training Analyst in the IPA. She is an Editor atPsychoanalytic Dialogues, and Studies In Gender and Sexuality. In 2009, she, Lewis Aron, and Jeremy Safran established the Sandor Ferenczi Center at the New School University. Her book Gender as Soft Assembly was published in 2005 and issued in paperback in 2009. She has a new book, co-edited with Steve Botticelli, First Do No Harm: The Paradoxical Encounters of Psychoanalysis, Warmaking, and Resistance (2010). She has written on topics in gender and development, analytic subjectivity and self-care, primitive states and the analytic community in the shadow of the first world war. Her current work is on analytic subjectivity, and on ghosts.